How does a gift card work? How to use a Woohoo gift card? How to use Woohoo gift card on app? Gift Your Asli Love, the Asli Gift! Say Hello to Woohoo Zodiac E-Gift Cards! Rakshabandhan or Rakhi is a festival to celebrate the bond between brothers and sisters. It is marked by sisters tying the sacred thread, known as Rakhi to their brother’s wrist. The brother, in return pledges to protect his sister at all times. As a token of love between the siblings they usually give gifts to each other. A bond and love so unconditional deserves a gift as boundless. 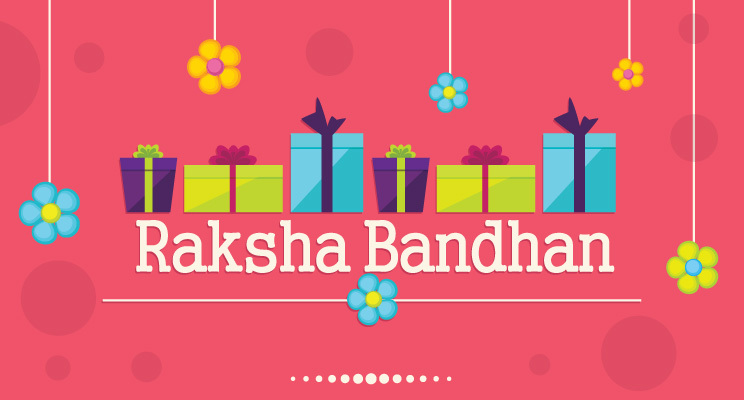 Apart from all the positive feelings, the festival of Rakshabandhan brings the same dilemma – what to gift my brother or sister? Do they already have this item, or am I just wasting money buying this or that? Give Your Sibling the Gift that Opens the Door to More Gifts! How about getting your sister or brother a gift card this year for Rakshabandhan? With exclusive Rakshabandhan gift cards and e gift cards, you open up the door to a range of options for your sibling to choose from. With more than 100+ brands to choose from, you could gift them anything from shopping for products online or offline, dining at their favorite restaurants, pampering them at the spa or salon, watching a movie at the theatres and much more. She means the world to you and, if you could, you would most certainly bring her the stars from the sky if she wanted it. That speaks volumes about a brother’slove for his sister and his desire to fulfil her every wish. Keeping this in mind, we’ve got the perfect gift idea for you – a gift card that let’s your sister pick exactly what she desires. Choose a gift card from her favorite brand. Or, if you’d like to let her choose from the various brands, you could gift her a Woohoo gift card. A Woohoo gift card would enable her to use it to purchase another gift cards from the brands of her choice. 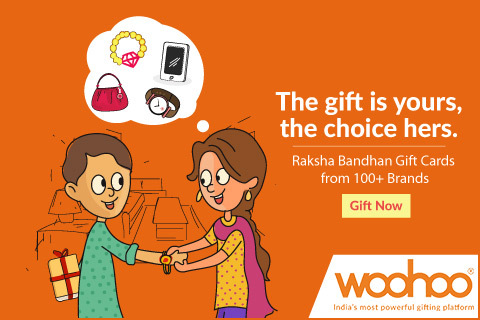 Check out the top Rakshabandhan gift cards for your sister. Yes, the two of you have fought through your childhood and probably still do. But when it comes to protecting you, you know your brother’s always there for you (there’s no doubt about that!). A gadget freak, a gamer, a man of style, a geek, an artist, a photographer or a foodie – whatever be your brother’s taste and style, a gift card would be an ideal gift for him. Be it a particular model of a gadget he’s got his eyes on, a book he’s been wanting to pick, that shirt he saw online or the mouth-watering plate of his favorite dish he’s been craving – there is a gift card for everything he desires. Check out these perfect Rakhi gift cards for your brother. Rakshabandhan Special Offer on Myntra E-Gift Cards. Next Next post: India Boycotts Bad Gifts: Don’t settle for less-than-perfect gifts anymore!